Come to our location in Canada for an international hockey training experience! Torjager can also come to your location to work with your team. The same great service available at your home ice! In February 2015, a team of young hockey players from Argentina came to Canada to learn about ice hockey. Torjager Hockey put on another two-week camp in Okotoks that highlighted all the great things about our game. This team was made up mainly of players 13-18 years old. They worked on all the skills and team play, including power play, penalty kill and checking. They then played in 3 full games. 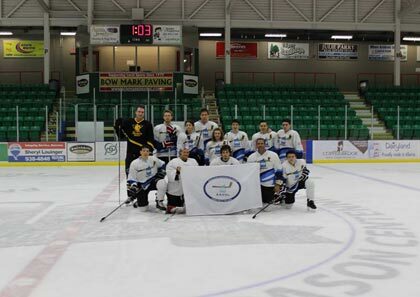 Local players were specially invited to come out and play for the Torjager Selects team and be a part of what was truly a great time for everyone involved. The games got more intense as the weeks went on and the Second game was only decided by 1 goal plus the empty netter with only seconds remaining. The improvement was incredible over the 2 weeks! The players put in so much effort every day and enjoyed every minute of their time on and off the ice. They spent so much time on the outdoor rink and enjoyed the nice changes in weather. It was a great young group of hockey players to work with - their passion for the game is incredible as we have seen from every previous group to come here. They enjoyed 3 of the local Jr A. Oilers games and attended the Flames vs San Jose Sharks game as well at the Saddledome. They made trips into Calgary for shopping and to go to COP and experience all that it has to offer. A couple of them even went to Banff to go Skiing!! Most of the players were from Buenos Aires, but there was at least one from another part of Argentina as well. In March 2013 Wade Davis travelled to Buenos Aires and Bariloche, Argentina. He worked with adults and kids both on the ice and on the Inline floor. Through generous donations from Albertans, Torjager Hockey was able to raise money to purchase and bring a skate sharpener to Argentina for the AAHHL. It was donated at a ceremony during one of the AAHHL inline hockey games at Peru Beach Arena in Buenos Aires. Along with extra parts and a few extra gifts the mobile sharpener will be used to sharpen many skates for players in and around Buenos Aires and for the Men's and Women's National teams. Wade worked with both National teams on the floor and on the ice and helped develop some game strategy, work on skills and show a few details of Canadian hockey. He also helped the AAHHL board of Directors in an advisory role. While in Buenos Aires Wade had the chance to work with a few of the inline teams, working on shooting and passing as well as doing an ice hockey camp with various kids and adults. Overall it was a great time, a lot of hockey knowledge was shared and a lot of hard work and effort was put in. During his time in Argentina he also travelled west to the Andes mountains to the city of Bariloche where he did ice hockey camps at the local rink there. Rapa Nui Chocolates owns the rink and was a great host for the 5 days. He also travelled to Villa La Angostura and did inline training with a group of players there. Again a lot of knowledge and information was learned and many of the players improved a ton over the few days of skating. It was a very beautiful and friendly place to visit. In all many hours were spent on the ice or on the floor and much knowledge was gained by all. Many stories were also shared at the pizza night and it was a great way to have a little fun. 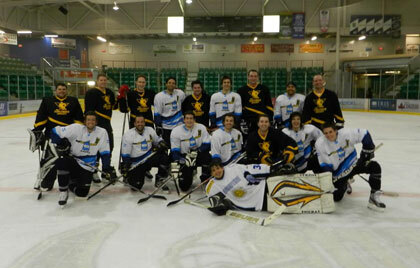 In February 2012, another group of hockey players from Argentina came to Canada to learn all about our game. Torjager Hockey put on a two-week camp in Okotoks that highlighted all the great things that hockey is. Some of the same guys from the previous year attended again and some new faces also came. They worked on skills, team play and played some games. The improvement was incredible! The players put in so much effort every day and enjoyed every minute of their time on and off the ice. It was a great group of hockey players to work with - their passion for the game is incredible. The local paper, the Western Wheel did a nice story on the group and they got to experience some great hockey in the Calgary area. They also took a day trip to Banff and enjoyed the sights and atmosphere of our beautiful National Park. In February 2011, a group of hockey players from Argentina came to Canada to learn all about our game. Torjager Hockey put on a two-week camp in Okotoks that highlighted all the great things that hockey is. Every skill there is was worked on, and the improvement was incredible! The players put in so much effort every day and enjoyed every minute of the time they spent there. It was a great group of hockey players to work with - their passion for the game was unmatched even here in Canada. From Jan 30-Feb 12, 2011 a group of 15 hockey players from Buenos Aires, Argentina came to Calgary and then on to Okotoks for a 2 week long hockey camp. Many came from a team called Jauria, as well as a couple of other teams. They ranged in age from 16-28. We skated at Centennial Arena in Okotoks each day. Most of the players had never skated on real ice before, and most had to go to the sports store and buy skates, sticks, pants and other gear. They all did it with a big smile on their face and enjoyed every minute of it. They had over 25 hours of on-ice instruction and followed that with off-ice sessions and hockey talks each day. They were able to play in 3 games while they were here, including a 5 period marathon in the second game. They passed with flying colours and the improvement over the 2 weeks was incredible. Some players went from being unable to stop, to mastering it and scoring some nice goals in the games. Others improved shooting, passing and positional play. The experience for everyone involved was incredible, on both sides of the puck. The most incredible part was the attitude of all the players. The attitude to learn and the WANT to be there was incredible. Maybe the most special thing was that they never took a single thing for granted. They saw how lucky we are in Canada to be able to play hockey and have the opportunities that we do every single day. Sometimes we forget that here, but they sure reminded us. In Feb 2012 they are returning, this time some new faces and some of the same ones from last year as well. We look forward to having another great 2 weeks and working on the skills once again. They will again play 3 games and are sure to do well again. 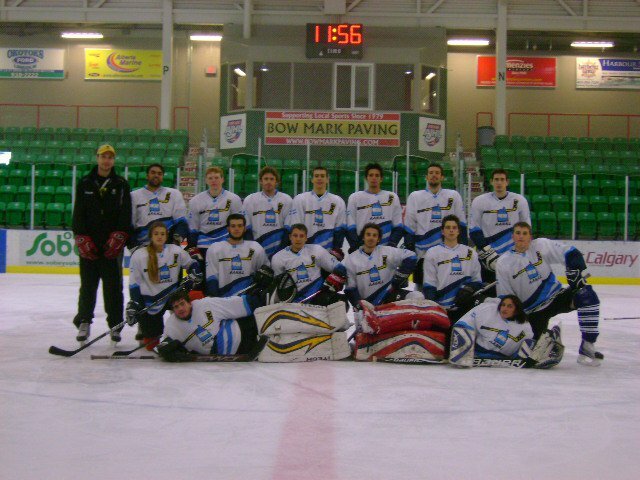 In July 2009, Team Jauria, a U17 inline hockey team from Buenos Aires, Argentina, travelled to Calgary to train with Torjager Hockey and play some of the local teams. The training was very intense, focusing on skating, puckhandling and shooting skills. Team building and off ice fitness were done each afternoon and goalie specific training was also part of the daily regimen. The players improved every session and worked very hard; the coaching staff was impressed! This was a very unique opportunity for both the trainers and the athletes; a very rewarding exchange of friendship and goodwill, all in the name of hockey!